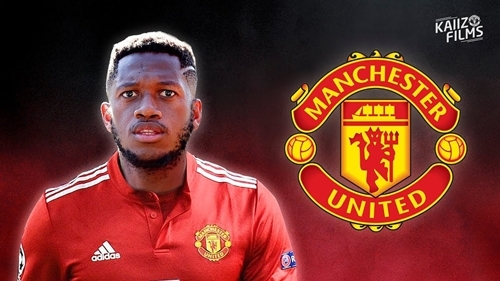 Fred who joined Manchester United during the summer, has praised former Arsenal midfielder for helping him decide to join United over the likes of Manchester City and Paris St Germain. Manchester United new boy, Fred has explained the part a former Arsenal and Brazil star played in his summer transfer to Old Trafford. The midfield recruit from Shakhtar Donetsk, who made his first two competitive appearances for the Reds in the Premier League games against Leicester City and Brighton & Hove Albion, revealed how he sought the advice of his fellow countryman, Gilberto Silva. He had some titanic tussles with Sir Alex Ferguson's United team during his six-year stay in the capital and was on the winning side when Arsene Wenger's men beat the Reds on penalties in the 2005 FA Cup final at the Millennium Stadium in Cardiff. Of course, such a strong adversary received a great deal of respect from the United ranks and Fred says this was reciprocated by his 41-year-old mentor. “Gilberto was a top midfielder who played for Arsenal,” Fred told ManUtd.com. “But he has a lot of respect for Manchester United, who are obviously a big club here in England. “He praised the club a lot and, after he was granted the opportunity to speak to Jose Mourinho and other senior figures at United, we made the decision together for me to come here. We decided it would be a good move for me.